The Knights of Columbus is the world’s largest Catholic fraternal service organization for men. It was founded by the Venerable Father Michael J. McGivney in New Haven Connecticut, in 1882, and named in honor of Christopher Columbus. Originally serving as a mutual benefit society to low-income immigrant Catholics; it developed into a fraternal service organization dedicated to providing charitable services. For Charity is the foremost principle of the Knights of Columbus. The Special Olympics movement began in the late 1950’s and early 1960’s when Eunice Kennedy Shriver, the sister of President John F. Kennedy and Rosemary Kennedy (born with intellectual disabilities) wanted to show the world what individuals with intellectual disabilities could do, rather than focus on what they couldn’t. Eunice Kennedy Shriver was the founder in 1962 of Camp Shriver which started on her Maryland farm known as Timberlawn and, in 1968 evolved into the Special Olympics. Robert Sargent “Sarge” Shriver, Jr. was an American politician and activist. As the husband of Eunice Kennedy Shriver, he was part of the Kennedy family, serving in the Kennedy and Johnson administrations. Shriver was the driving force behind the creation of the Peace Corps, founded the Job Corps, Head Start and other programs, and served as the United States Ambassador to France. He was also a member of the Knights of Columbus. Eunice Kennedy Shriver was known as a leader in the worldwide struggle to improve and enhance the lives of individuals with intellectual disabilities. So with two very influential individuals joining together in the bond of marriage; is it any surprise how the bond between the Knights of Columbus and Special Olympics was forged. 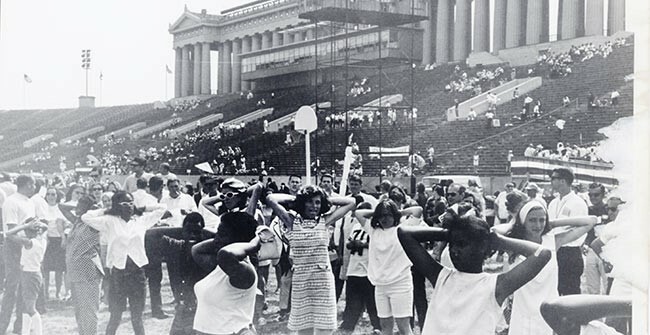 The first Special Olympics Games were held at Soldier Field in Chicago in 1968. And since 1968, the Knights of Columbus has raised and donated more than $600 million to programs for individuals with intellectual and physical disabilities; with Special Olympics being one of the larger programs the Order donates to. 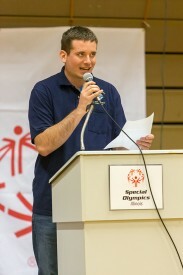 Although the Order’s involvement in Special Olympics originated in Illinois, it has expanded to all states nationally, and within the past few years has expanded internationally, as evidenced by the Order’s involvement in the 2015 Special Olympics International Summer Games held in Los Angeles, Calif. The Knights of Columbus commitment to Special Olympics is an ongoing expression of their belief in the intrinsic worth of every human being. In fulfilling this commitment, many Knights of Columbus Councils – such as St. Mary of Vernon Council 8022 out of Indian Creek (far northern suburb of Chicago) – provide resources at as many Special Olympics Area, Division, Region and State games as possible. These resources are used to 1) speak during the Opening Ceremony to welcome athletes and their families on behalf of the Knights of Columbus, 2) facilitate one or more of the athletic events and/or hand out awards, and 3) man tables for Tootsie Roll donations and invite qualified Special Olympics athletes along with their brothers, fathers and grandfathers to join the Knights of Columbus. Members of the Knights of Columbus have the unique ability to influence and raise awareness that individuals with intellectual disabilities want to be accepted and included not only in our schools and businesses; but within our communities. And what better way to accomplish this than getting directly involved with Special Olympics. As Knights, it’s charitable to stand on the sidelines and give or receive donations for the cause, but it’s intrinsically rewarding to stand on the sidelines to cheer on the athletes and witness firsthand the courage, compassion, and competitive spirit these athletes – and their families – have for one another. If you’re a member of the Knights of Columbus and aren’t currently participating in Special Olympics events I ask that you consider giving an hour – or a couple of hours – at one or more of the Special Olympics events in your area to help make a difference in the lives of these athletes. Help them show the world, and themselves, what they can do; instead of what they can’t. If you’re a male Special Olympics athlete 18 years of age or older, and are of Catholic faith, I encourage you, your brothers, father and grandfather to join your local Knights of Columbus Council. By becoming a member and getting directly involved in your community you help show the world and yourself what you can do instead of what you can’t do. Pictured at left, is John Cerve, a member of St. Mary of Vernon Council 8022 giving the opening speech on behalf of the Knights of Columbus at the Special Olympics Illinois State Floor Hockey Games in Chicago last November. He’s not only a 1st degree Knight, but he’s an Eagle Scout, a Special Olympics athlete, a Special Olympics Global Messenger and is employed by Goodwill Industries at Naval Station Great Lakes in their food service program. As a member of the Knights of Columbus, he continues the time-honored tradition of service to others in addition to carrying out the family legacy of charitable service to his community. His father is a 4th degree Knight and his grandfather (now deceased) was a 4th degree Knight and Past Grand Knight. The Knights of Columbus and Special Olympics believe in the strength of family values and highly encourage families to participate in events together. For it’s the family that provides the love, support, and encouragement that no one else can to help our Special Olympics athletes succeed in life to the best of their abilities. If you’re currently a member of the Knights of Columbus; get actively involved in Special Olympics and ask a Special Olympics athlete to join your Council. If you’re currently a Special Olympics athlete and meet the necessary requirements for membership in the Order; get actively involved in the Knights of Columbus to further develop the skills needed to not only succeed in life, but to give back and support others within and outside the Special Olympics community who have supported you. Together we can learn from one another and grow in ways never thought possible. 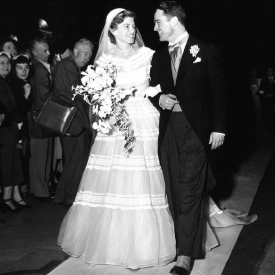 Together we can strengthen the bond that Eunice Kennedy Shriver and Sargent Shriver forged years ago. It can be a life changing experience for everyone involved. For information on the Knights of Columbus and to find a Council near you, click here or contact Steve Cerve, Special Olympics Chairman, Knights of Columbus St. Mary of Vernon Council 8022, with any specific questions you may have. Steve is also available to speak to schools, businesses, and community groups pertaining to the acceptance and inclusion of individuals with intellectual disabilities into their organizations.